supporters is not halted, he appears to have a brilliant future ahead of him. that those who burn books will end up burning people. control over the world that needed to be destroyed before he could do that. name of the child is war crime; and whoever gave the order is a war criminal. my people that is committing all these injustices does not make them pleasant. settlers, has been created in the Occupied Territories. struggle against an “existential danger”. There is no lie greater than this. proven itself all over the world: take them out of the Occupied Territories. the studio and Ilana could not hear me. duty is to prevent the next war. of rare quality. She is wise, educated, sharp and an excellent interviewer. already a gift from God (for those who believe). supports Vanunu to be invited to speak on the military radio station. in preventing Israel from becoming a branch of the state of the settlers. Unfortunately, however, that animal is also in danger of extinction. 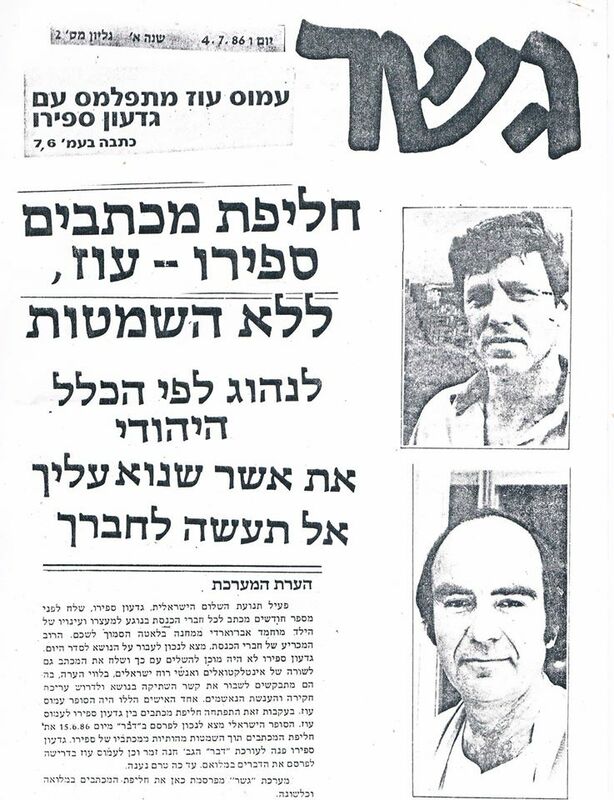 translation: Harcourt Brace Jovanovich, 1989.
during the British Mandate for attacks on Arabs and Britons.